TMS Software has released an updated version of their TMS iCL component suite for Delphi XE7 Firemonkey. TMS iCL is a set of wrappers for native components on IOS. This new version adds four new components. The new components are: TTMSFMXNativeLocalAuthentication which allows you to do authentication with the IOS Touch ID system. TTMSFMXNativeCLLocationManager gives you fill access to the location sensor data including heading. TTMSFMXNativeCMMotionManager gives you access to accelerometer, magnetometer, and gyroscope data. Finally, TTMSFMXNativeCMAltimeter gives you access to altitude and pressure changes which are available in IOS8 Iphone 6 devices. TMS iCL is a commercial component suite but a free trial is available. There are 44 other components also available in the TMS iCL suite which we’ve covered before. Should also work for you in Appmethod. 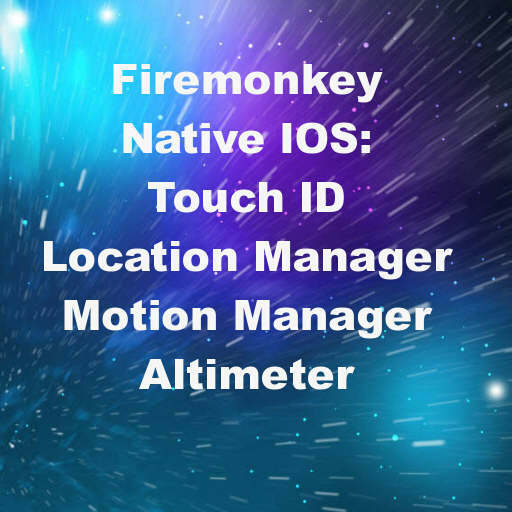 Head over and check out all of the different native component wrappers in the TMS iCL component suite for Delphi XE7 Firemonkey on IOS.